YJM PRODUCTS LIMITED started in 1998 from a small private workshop. 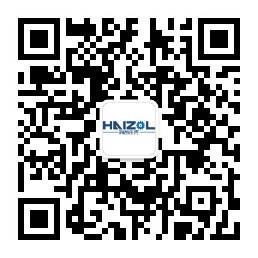 Our company is located in Taizhou City, Zhejiang Province,China. which is a manufacturing base in China and one of the bases of global supply chain. Our company has three independent production workshops, with a total area of over 3,200 square meters, and is a professional Stamping parts and Machining parts factory. The factory has 258 first-class technical staff, a team of 12 QC, with more than 100 professional equipment, with strong production capacity and perfect quality assurance system. We mainly provide support for European and American customers in hardware parts.Our customers are mainly in the fields of auto parts, electric power, construction and medical treatment. Our main materials include Copper, Brass, Aluminum alloy, Zinc alloy, Stainless steel and some universal steel and so on.We can help customers provide surface treatment for different products.Includes electroplating and oxidation and spraying powder etc. As to your enquiry, we can usually reply you within 24 hours, our competitive prices and services will help you win a wider market and profits. We respect the protection of intellectual property, we sign confidentiality agreements and our customers, and their companies and projects will be respected and protected. We warmly welcome new and old customers to vicit our factory at any time. We look forward to working with you in the future. Customer Name: Ge, Siemens etc.